In the UK few gaming peripherals have undergone the sort of stupendous boom experience by gaming chairs in recent years. Buoyed by a resurgence in PC gaming and the arrival of streaming as a viable advertising platform, the number of product lines available has ballooned to the extent that manufacturers advertise to multiple segments and demographics. Now even established peripheral manufacturers are trying to get in on the act, although regrettably that’s often by slapping a fresh coat of paint on the same OEM parts also used by a handful of competitors. Fresh-faced entrants into the scene are few and far between, despite solid demand in the market. That’s not to say that there are no new entrants however. This week we heard from EDGE - a home-grown British manufacturer based in Caerphilly, South Wales - who have taken a ‘back to the drawing board’ look at the concept of a gaming chair so it can be better tailored to the needs of a modern gamer. EDGE contend that there is an underlying weakness present in the DNA of gaming chairs on sale today, and it concerns their origins. Prior to breaking into the market manufacturers generally cut their teeth in either real-world motor-racing chairs or chairs built for driving simulators (or both), and that’s obvious from the prevalence of the so-called ‘bucket seat’ design. According to Clyde Crawford, Technical Director at EDGE, it’s a style that’s fundamentally flawed for gamers. This statement will ring true with a great many gamers who have purchased what they believed to be an excellent product, but found it to be confining and uncomfortable in long-term play sessions. Furthermore, such seats are often unsuitable for just general work at your PC, something which students and more mature gamers have to mix with our play time. Even so-called ergonomic chairs can exhibit these problems; they’re often modifications or tweaks to an underlying frame, rather than a comprehensive reassessment of the design. 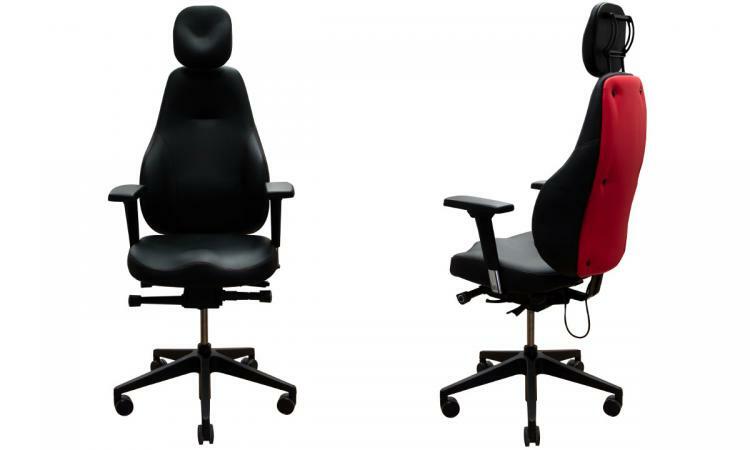 -	a ‘decompression zone’ that relieves tail-bone pressure to enhance sitting comfort. -	inflatable lumbar support – a key ergonomic feature, missing in the majority of gaming chairs. EDGE is of the opinion that add-on modifications, such as detachable cushions for neck and lumbar support, are insufficient and indicative of a chair with poor underlying ergonomic design. Far better to integrate these aspects from the get-go rather than bolt on later. The GX1 doesn’t just rely on expert opinion though. EDGE also developed the chair with input from professional and enthusiast gamers such as partnered Twitch.tv streamer LT Zonda, who is also the owner of gaming community Streamers Connected. It's interesting to note that EDGE don't exploit the front of the seat as advertising opportunity. Other manufacturers emblazon the headrest with their brand, often in high-contrast lettering, so you can be in no doubt who the manufacturer is. The GX1 is far more subtle; only when seen from behind would you notice branding and company logo. If you're a streamer looking to create a more restrained and refined aesthetic in front of the camera this seat already has a few features to recommend it. To be clear, the GX1 would absolutely be a premium component of any gaming setup. And why shouldn’t it be; as gamers we spend an immense amount of time analysing the pros and cons of GPUs and CPUs but rarely pay ample attention to where and how we sit for hours at a time. And like many other premium products it’s also customisable and near infinitely adjustable, aspects that set it apart from 'off the shelf' variants. •	Bespoke seat design with memory foam on moulded seat base, with coccyx decompression zone to optimise load bearing and reduce tail-bone pressure. •	Seat slide with seat depth adjustability of 65 mm to accommodate a broad range of gamers statures. •	4-dimensional arm rests with adjustability for height, width, rotation and translation (forward / backwards movement). Additional soft padding on arm rests. •	Bespoke back rest design that provides enhanced lateral support along with allowing greater shoulder and arm movement, which is essential for gaming. •	Bespoke head and neck rest that is adjustable in height and tilt. •	Independent seat base and backrest tilt functionality. •	Unique, tension-controlled asynchronous gravity-driven tilt mechanism that allows easy transition between sitting postures while ensuring adequate support is provided at all times. 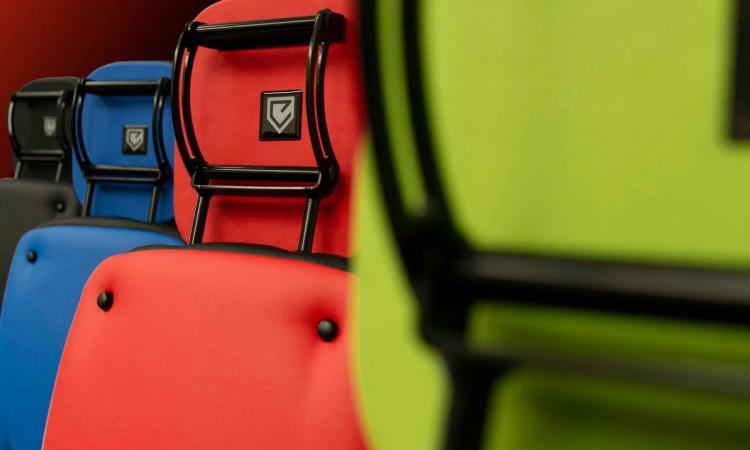 •	Anti-shock locking feature that easily allows the chair to be locked in the desired position. •	Hand-crafted in Great Britain. •	Meets key fire safety and load rating standards for office equipment. The semi-custom design is reflected in the price, which starts at £809.99 inc. V.A.T. Your bespoke chair will be built to order and arrive fully assembled, eliminating another source of frustration that comes with competitor models. Furthermore, the GX1 is also backed by a 5-year warranty, and shipping is available internationally for those interested outside the UK. 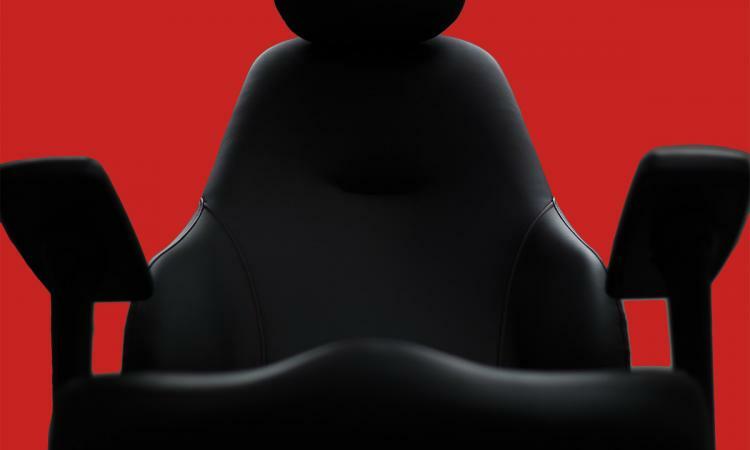 For all the strength in the gaming chair market right now, releasing a new design beyond where many see the enthusiast segment to be is a hell of a ballsy move. Its adoption by high-profile gaming personalities will help to spread the word but the battle for recognition they've set themselves is certainly an uphill one. More information on the EDGE GX1, including how to order, is available at https://edge-products.com/.